The Seroe Colorado Lighthouse, also known as the Colorado Point Lighthouse, is the second active lighthouse in Aruba. It is located at the southeastern point of the island. It is still active to warn maritime traffic for the various reefs that are in the vicinity. The Seroe Colorado Lighthouse has been at this location since 1881 when it was built. The lighthouse has a height of 51 meters (167 ft). When the lighthouse was built, a stone upward rectangular design in combination with wood was used. Nowadays the Seroe Colorado Lighthouse has a metal structure. Only ruins of the first tower are present near the location of the lighthouse. The beacon of the lighthouse is protected by a square wire cage enclosure to prevent unauthorized access to the light. Also, the wire cage is designed in such a way to prevent vandalism. Is the Seroe Colorado Lighthouse Accessible to the Public? No, the lighthouse is not open for the public to visit but the site is. From Baby Beach, you can follow a trail by foot that brings you all the way to the Seroe Colorado Lighthouse. By car, when you start in Seroe Colorado just follow Tenth Avenue. The road will take you to the site. When you have arrived at the site and when you have done some exploration, following the trail to Boca Grandi is a great thing to do. A strong wind, a rough ocean, and beautiful, quiet surroundings will challenge but also satisfy you. Is the Lighthouse Worth Visiting? The answer is yes and no. It fully depends on of what you are looking for and what kind of expectations you have. When you have the looks of the California Lighthouse in mind, seeing the Seroe Colorado Lighthouse can result in disappointment. The lighthouse is not famous for its design. But when you are looking for quietness with a spectacular view, the site of the Seroe Colorado Lighthouse is definitely worth visiting. 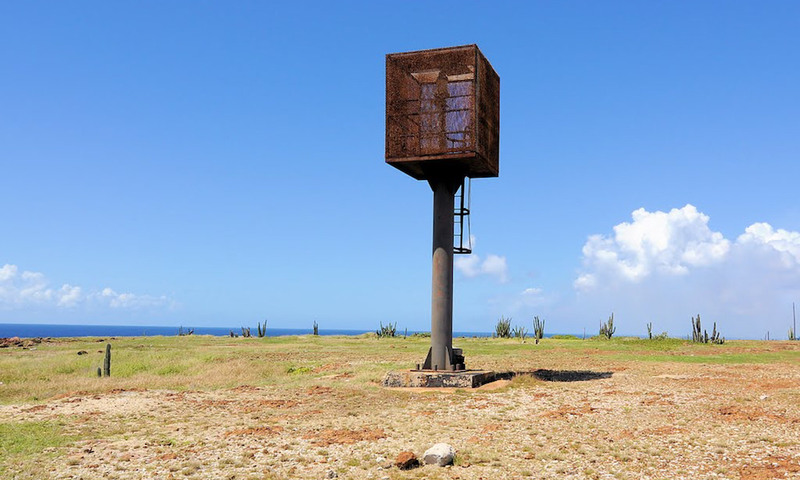 Also, it is interesting to know that around Colorado Point (or Punta Basora in the native Aruban language) you are able to see the remainders of military defense zones and bunkers that were once occupied and used by more than a thousand American soldiers during World War II to defend the oil refinery. The oil refinery at that time had more than a 10.000 employees and it was one of the largest refineries in the world. How can I reach the Seroe Colorado Lighthouse out of Oranjestad? We recommend renting a car when you are planning to visit the site. Out of Oranjestad, directions are easy to remember. Just follow directions to San Nicolas and then to Seroe Colorado. During your trip, you will pass Rodgers Beach on your right side when you are leaving San Nicolas and followings signs for Seroe Colorado. At Seroe Colorado it is also worth considering visiting the Seroe Colorado Anchor. The Seroe Colorado Anchor has become a point of interest, painted in a red color, that many tourists have visited because of its size, location, and history.